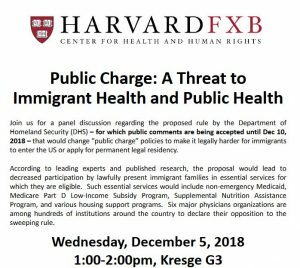 Many in the public health community have concerns about the possible effects of proposed changes in regulations related to how US Citizenship and Immigration Services, Department of Homeland Security (US CIS, DHS) determines “public charge” as grounds to deny immigration visas and permanent residence. Harvard FXB sponsored an event in which experts discussed those concerns (read highlights of the event here). December 10 (coincidentally the seventieth anniversary of the Universal Declaration of Human Rights) is the deadline for comment. 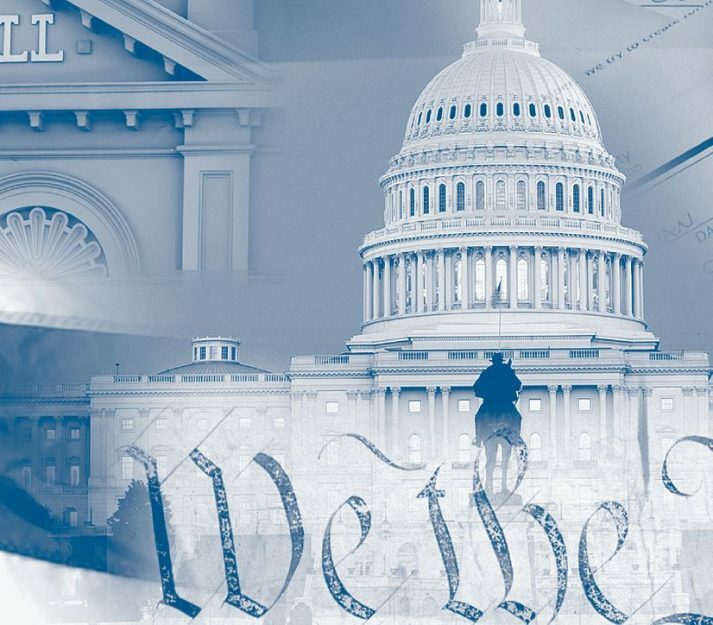 To continue its usefulness past those dates, this post will discuss not only the “public charge” regulations, but use them as an example on how to comment on US regulation changes in general. If the past is any prediction, there will continue to be many proposed regulation changes on which those who care about public health and human rights will desire to comment. Anyone can comment. On September 22, 2018, the Department of Homeland Security proposed a new regulation that may make it more difficult for legal immigrants who have received public assistance, such as Medicaid and food stamps, to obtain green cards that would allow them to stay in the U.S. permanently. This proposal would dramatically alter a longstanding immigration policy known as “public charge,” a category used to determine whether someone seeking to live in the U.S. permanently is likely to become heavily dependent on government assistance. Previously, the public charge designation applied to people who immigration officials deemed at risk of becoming dependent on cash assistance or help with long-term care. Broadening the category to include safety-net programs like Medicaid, food stamps, and public-housing assistance may give the administration a considerable amount of discretion to decide who is likely to become a public charge at some point in the future. As part of a week of action, students are participating in an event on Thursday, Dec. 6: Teach-in and comment writing party in Kresge G-2, 1-2 p.m.
You may have learned about the proposed changes from a newspaper article, organizing email, or flyer. To educate yourself further, consider starting with the agency suggesting the change and looking at their overview of the changes, in this case, the US CIS, remembering always that they are the ones advocating for this change. What Changes? The proposed rule would change the standard that DHS uses when determining whether an alien is likely to become a “public charge,” at any time in the future and is therefore inadmissible and ineligible for adjustment of status or admission into the United States. The rule would also make nonimmigrant aliens who receive or are likely to receive designated public benefits above the designated threshold generally ineligible for change of status and extension of stay. How will DHS determine? Inadmissibility based on the public charge ground is determined by looking at the mandatory factors set forth in INA section 212(a)(4) and making a determination of the applicant’s likelihood of becoming a public charge at any time in the future based on the totality of the circumstances. To see the actual proposed change, you need to go to the Federal Register. In this case, the CIS webpage provides a link to Notice of Proposed Rulemaking (NPRM) on the Register, which shows the actual language of the proposed regulation. Going to the Docket Folder is even more helpful, because it offers you access to public statements already made, both those made before the rule opened for general comment and all of those made since it opened for public comment. Those comments may provide you with inspiration for constructing your own. We hope that these resources inspire you, rather than daunt you. To comment on the changes regarding public charge, you have until 11:59 PM EST, December 10. Susan Lloyd McGarry is a senior writer with Harvard FXB. Post was updated to put the event in the past and include a summary of it.